I have recently started to try to get healthy by eating breakfast. A full protein breakfast. Previously, my breakfast was usually air. I read somewhere that a full protein breakfast can actually kickstart your day by jumpstarting your metabolism. Now, I am not a nutritionist, and it does sound a little skeptical that my metabolism which has been dormant for 20 years can be kickstarted back to life by breakfast. But I’m willing to see how it works. 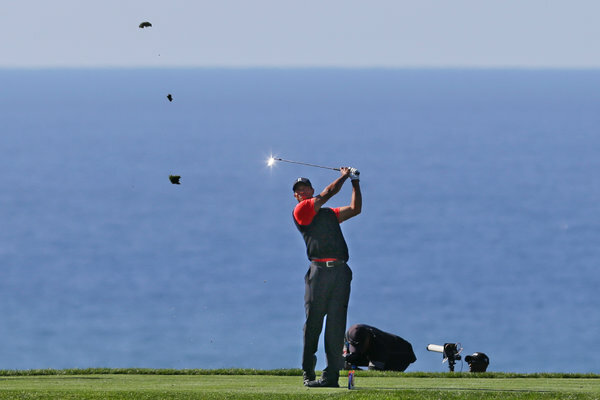 In the same way, we are hoping that the Tiger win at Torrey Pines a week ago can actually kickstart Tiger this year to do what he has been absolutely failing to do since he won the US Open with one leg: WIN A MAJOR. So now he has 75 wins. Big deal. So what if he beats out Sam Snead’s 82 wins? It would be nothing compared to beating Nicklaus’s magic 18 majors. Tiger will always be measured by majors, not wins. Wins are expected. These are part of being Tiger. You’d think people would be bamboozled by such arrogance but that’s what you need to be to be the best in the world. Tiger is not a nice guy, or a good guy. But he’s a darn good golfer and the only reason why golf has its own segment on ESPN.